LivePlan is all about helping you build a better, smarter business—faster. You want to spend less time planning and more time building your business. And, you need a tool that&apos;s going to help you build and share a solid strategy without slowing you down. That&apos;s why we&apos;ve developed a business planning methodology we call Lean Planning and baked it right into LivePlan. Lean Planning is way easier than a traditional business plan. It&apos;s a tool to help you optimize your business and a process for streamlined, efficient business management. The LivePlan Pitch feature is the perfect canvas to outline your business idea. 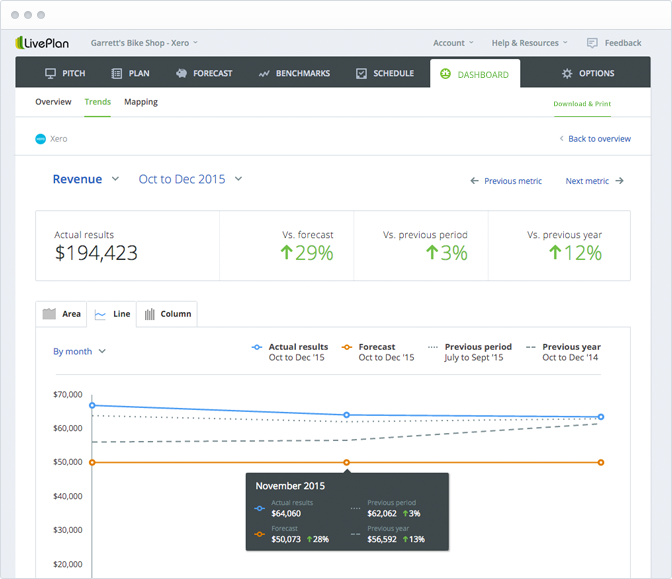 LivePlan will help you create a beautiful one-page overview of your business and your strategy for success. The LivePlan Pitch is a great tool to help you develop your business model, and you can easily share it online with partners and investors or export it for a presentation. 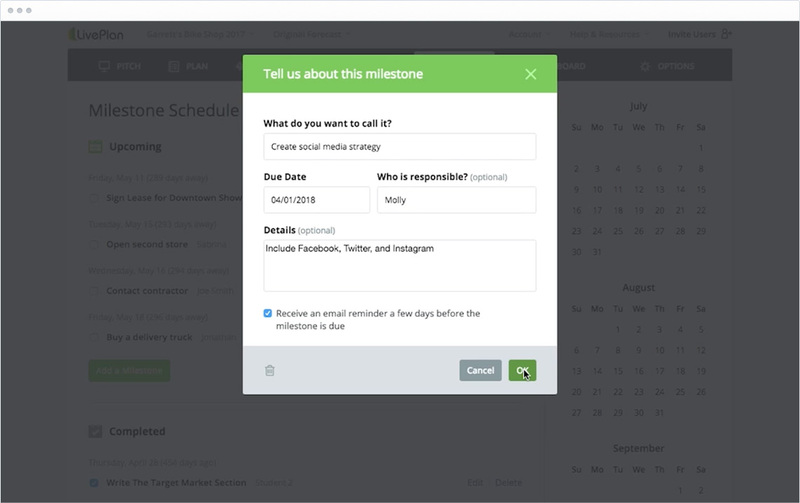 You should be able to create your initial LivePlan pitch in under an hour. It&apos;s the fastest way to jumpstart the planning process. Learn more about the LivePlan Pitch. With your strategy in place, the next step in Lean Planning is to run the numbers. LivePlan makes it easy to create a complete financial forecast without complex Excel templates or confusing accounting terminology. You&apos;ll be able to quickly figure out how profitable your business is going to be and if you need to get funding to start your business. LivePlan will automatically generate all the financial reports, charts, and graphs you need. 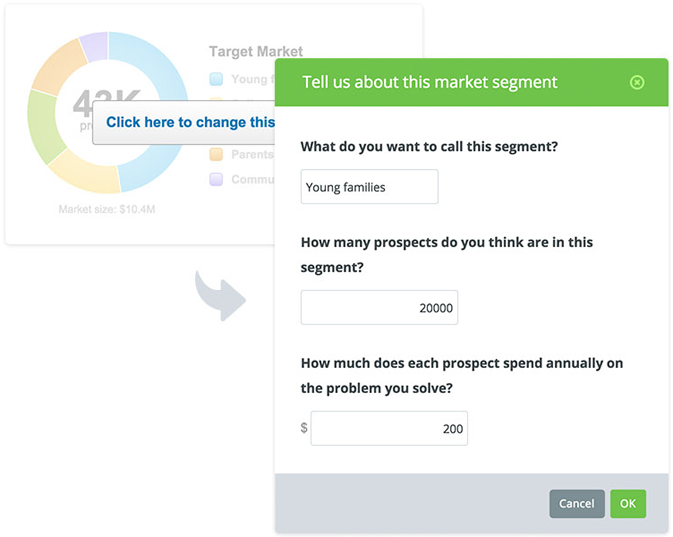 Learn more about LivePlan&apos;s forecasting features. Lean Planning is all about getting your business started faster. We want you to spend less time planning and more time doing. That&apos;s where LivePlan&apos;s schedule feature comes in. Use it to plan the key steps you and your partners are going to take to get your business started. Keeping your team accountable is part of the Lean Planning process, and LivePlan&apos;s schedule feature makes it easy. Tracking your performance is arguably the most important step in Lean Planning. Without tracking the key metrics for your business, you won&apos;t know if things are going well or going poorly. Spotting trends early and making adjustments to your strategy and tactics are critical to business success. 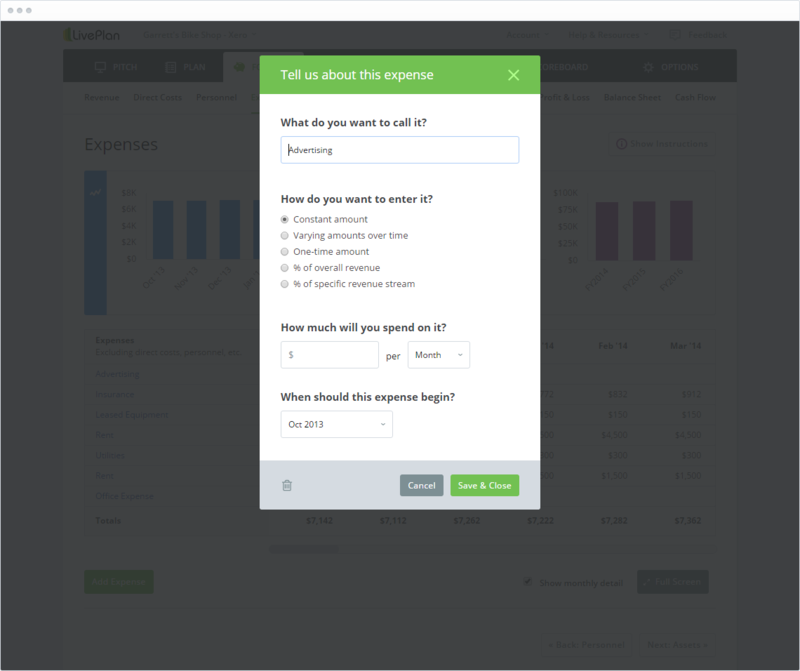 LivePlan&apos;s Dashboard connects to your accounting software (Quickbooks Online or Xero) and creates a dashboard for your key business numbers. You&apos;ll know, automatically, if you&apos;re on track to meet your goals and you can make quick changes to your budget and forecast if necessary. Learn more about the LivePlan Dashboard. 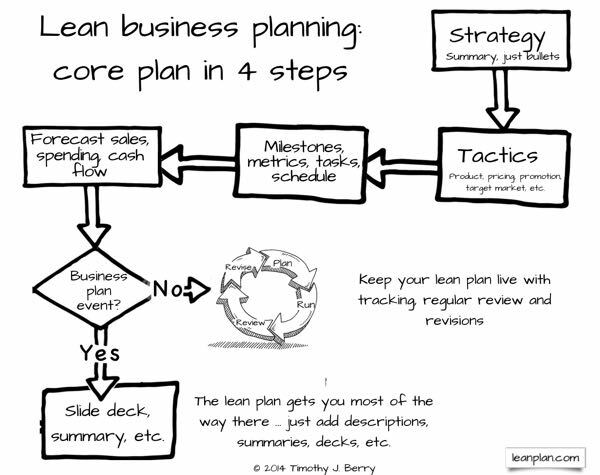 With Lean Planning, you don&apos;t always need to create the traditional business plan document. But, if you do end up needing one, we&apos;ve got you covered. LivePlan walks you through the process of creating business plan documents step-by-step, with instructions and examples along the way. 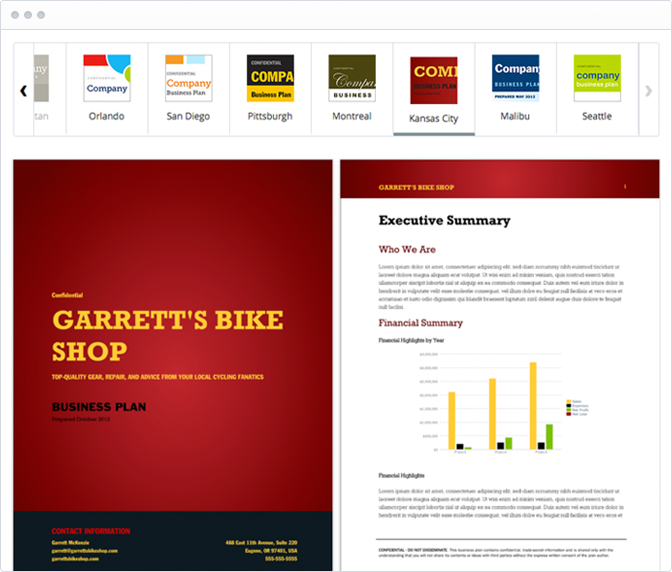 Use the business plan document to add additional detail to your strategy and create a beautiful document that will impress lenders and investors. Learn more about your plan&apos;s presentation.